D.N.B, M.Ch - Plastic Surgery, MS - General Surgery, M.B.B.S. Dr. R. K. Sharma, MBBS, MS, MCh (Plastic Surgery), DNB (Plastic Surgery), is heading the Department of Plastic Surgery, at PGIMER, Chandigarh. Dr. Sharma after completing his basic medical studies from Government Medical College, Rohtak went on to join PGIMER, the world famed institute, to accomplish his Post graduation in General Surgery, followed by super specialization in Plastic Surgery from the same institution. Apart from this, he has achieved DNB in Plastic Surgery. 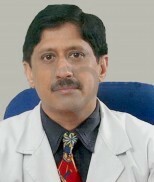 Dr. Sharma is well known plastic surgeon in the territory and has experience of more than 30 years in his field. To his credits, he has contributed more than 150 research papers to various National and International journals. Besides, he has presented his research work in various conferences. Dr. Sharma actively participates in orations & CMEs held nationally. Apart from the contribution of his research work, he is also on the editorial review board for various journals. ***We have never seen god but Dr. R.K. sharma is a god on earth. He has given new lives to people,birth defect treatments.Thanks to him from the core of my heart.